Another core competence of our company is the development and production of welding guns according to the specifications of our customers, which are individually tailored to the respective production requirements. By definition, mechanical welding guns are spot welding devices which are arranged in a machine frame for automatic spot welding of sheet metal parts either as stationary single units or as part of an operation group. In this product area we offer a multitude of variants. In this product area we offer a multitude of variants. 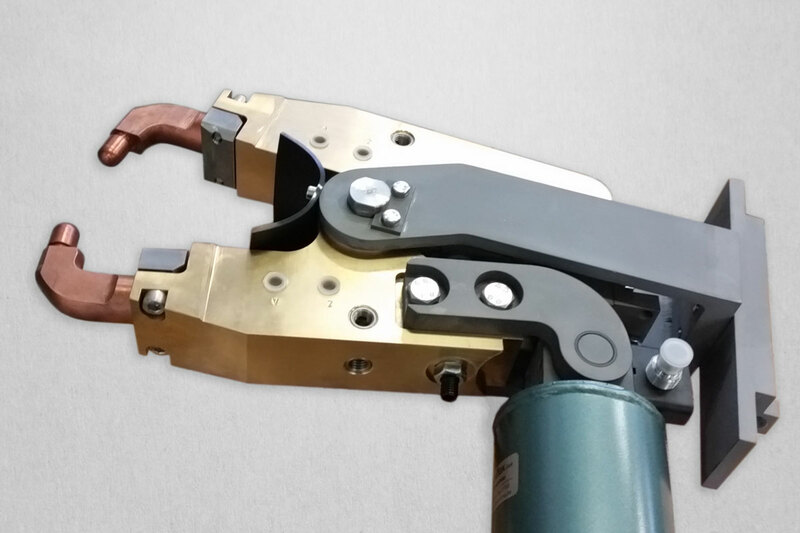 In accordance with our high self-assertion to the quality, reliability and longevity of our products, the individual components of our welding guns are almost all produced in our in-house production.